Van Dyke’s text is a multi-layered poem of praise. Albert Bailey describes it as an “intricate interweaving of fact and metaphor” (The Gospel in Hymns, 554). Some argue that the text is too universalist, but it is simply a beautiful hymn of praise from all of Creation. The all-encompassing text is meant to show the interplay between the joy given to God by His creation, and the joy we receive through this creation. The third verse is especially poignant in that it directs our attention from creation to Christ, and reminds us that our joy means nothing if we do not live out of that joy in love of one another. ODE TO JOY or HYMN TO JOY is the adaptation of Beethoven’s famous final movement in his Ninth Symphony into a melody fit for congregational singing. 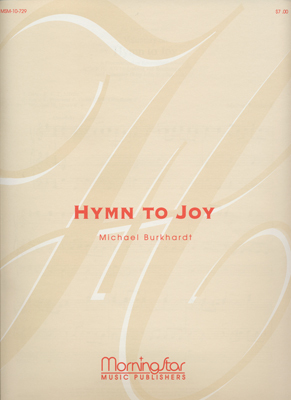 Around 1908, Henry Jackson Van Dyke wrote his text to be “sung to the music of Beethoven’s ‘Hymn to Joy’” (Hymnstudies, homeschoolblogger.com). The tune has an 87.87.D meter, which Austin Lovelace describes as having the “ability to carry massive ideas in its fifteen syllables per double line” (Anatomy of Hymnody, 74). It is a tune of grandeur and, fittingly, joy. It almost begs to be sung in a fast, upbeat manner; Jerry Jenkins writes, “the tune is so reminiscent of sprightly harpsichords that the words begin to bounce, and suddenly I’m singing it the way it was meant to be sung – at least in style” (Hymns for Personal Devotions, 132). The only point of contention about this tune revolves around one note. In Beethoven’s symphony, there is a pick up note into the third line – many try to imitate this. Paul Westermeyer argues that using this syncopated rhythm allows the congregation to sing music “in its integrity” (Let the People Sing, 202). Austin Lovelace, however, argues that “syncopation is a stumbling block to congregational singing and does nothing to make the hymn easier to sing or understand” (Let the People Sing, 202). In this case, Lovelace is probably right. If you want to incorporate Beethoven’s interesting rhythm, try adding it as a bass note pickup to the downbeat of the fourth line. Stylistically, this hymn can be accompanied by anything from organ to acoustic guitars, strings to bongo drums. Made famous by the movie Sister Act Two, there is a popular jazz choral version sung by a number of different groups – a great a cappella rendition is sung by Perpetuum Jazille. Michael W. Smith has a fantastic arrangement for praise band that, surprisingly, incorporates the bongos quite well! 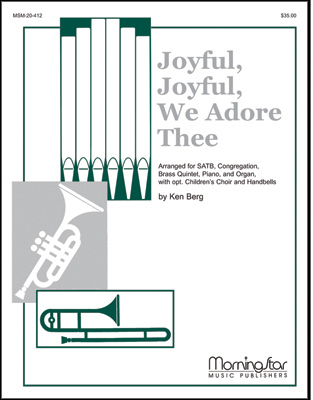 He ends with an original chorus: “Joyful, oh joyful, Lord we adore Thee, the God of glory, the Lord of love.” Many arrangements, including Smith’s, begin quietly and slowly with a soloist, and then immediately switch to a fast, upbeat rhythm. Another notable arrangement is by Casting Crowns, who also adds an original chorus: “Joyful, joyful, we adore you, hearts unfold like flowers before you. Joyful, joyful, we adore you, joyful we adore you!” This arrangement has a beautiful riff for the strings before each verse. This hymn can be sung throughout the liturgical year in a variety of places during a worship service. It works particularly well during a service celebrating God’s creation, or as a song of response after the reading of a psalm of praise that incorporates images from nature. It is also a vibrant opening hymn to gather the people into joyful worship. Display Title: Joyful, joyful, we adore thee First Line: Joyful, joyful, we adore thee Tune Title: HYMN TO JOY Author: Henry van Dyke Date: 1992 Source: Poems of Henry van Dyke, 1911, alt. 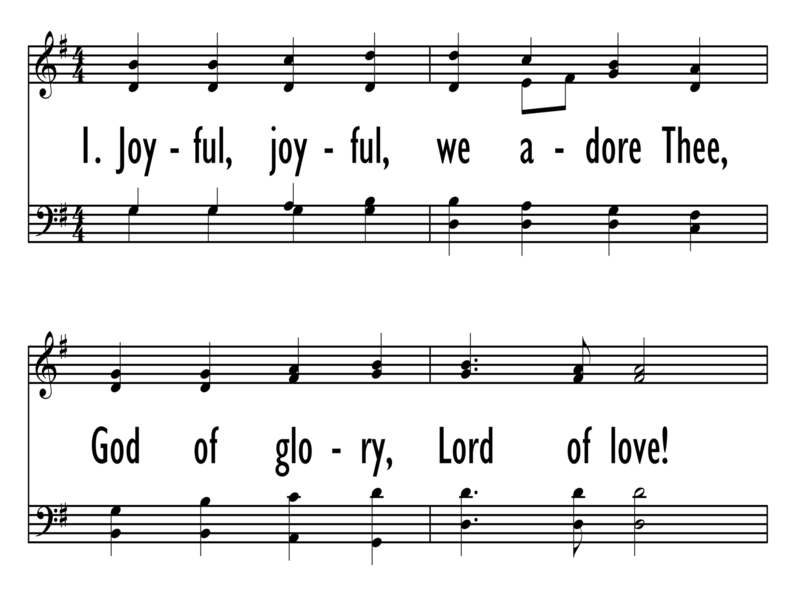 Display Title: Joyful, Joyful, We Adore Thee First Line: Joyful, joyful, we adore thee Tune Title: HYMN TO JOY Author: Henry Van Dyke, 1852-1933 Scripture: Psalm 150 Date: 1982 Subject: God the Creator | ; God's Love | ; Grace | ; Joy | ; Light | ; Love | ; Nature | ; Praise | ; Worship | Source: From The Poems of Henry Van Dyke by Henry Van Dyke, 1852-1933.